1). Beautiful canvas with magnetic closure and fasion pattern as new designer handbags for women. 2). 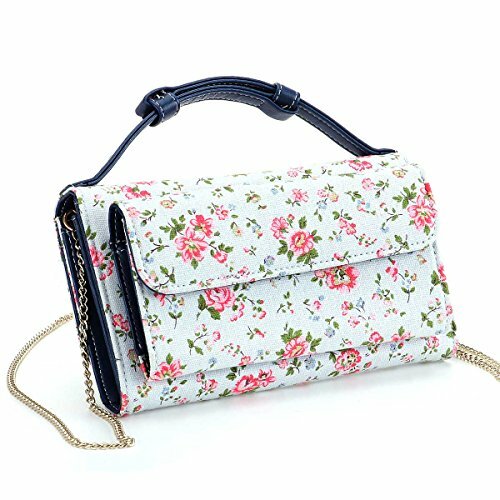 Small bag for women with adjustable top strap and detachable chain straps can be used as shoulder purse or cross body handbag. 3). The handbag can take your private goods liking cosmetics, credit card, wallet and cell phone. There is an interlayer. You can easily separate your things. 4). 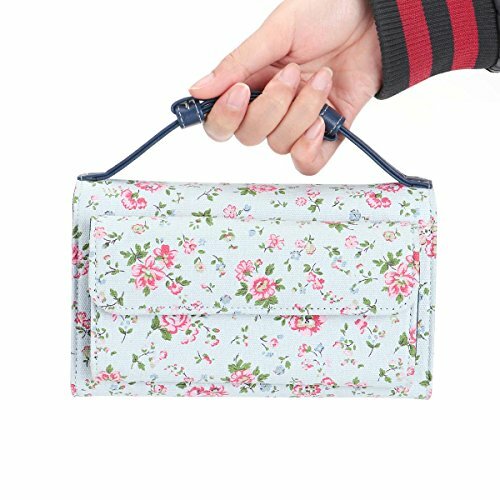 Women handbag size: 7.4"x4.5"x2.3 (LxHxW), cross body strap length: 47". 5). OCCASIONS: Suitable for wedding party, family reunion, prom, banquet and cocktail party and other occasions. 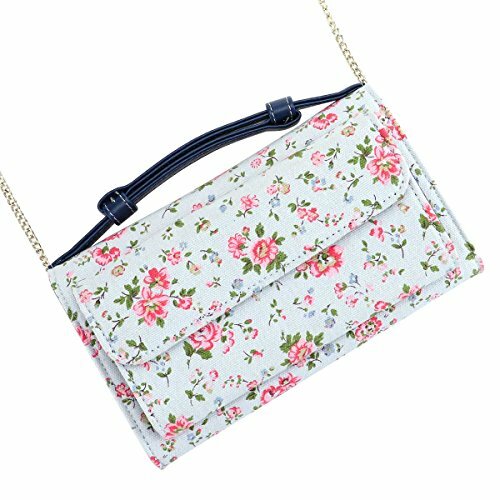 1.This ladies crossbody bag which made from beautiful pattern is a fashion small handbag for ladies. 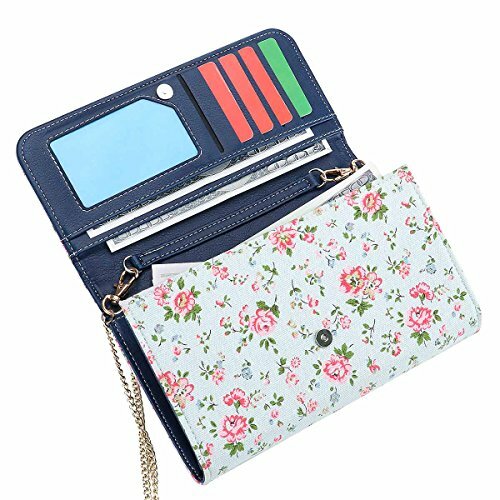 2.With simple design and flap shape, it creates a casual and trendy womens designer purse. It is soft but strong to hold sufficient weight, making this crossbody tote purse more durable,and helps to reduce the pressure on your shoulders. 3.By using the cross body bag strap, this ladies stylish handbag turns out to be a crossbody hand bag. 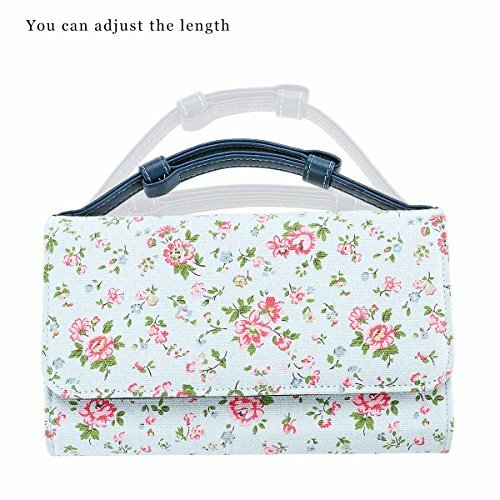 4.Design bag with roomy compartment provides ample storage with quick and easy access for all of your small essentials. 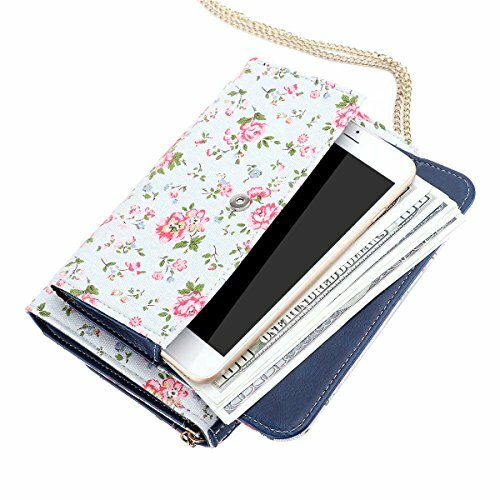 It is able to hold some makeups,cell phone, wallet and other personal belongings. 1. Because it is a canvas material, so do not wash if there is stains you can use damp cloth slightly wiped.